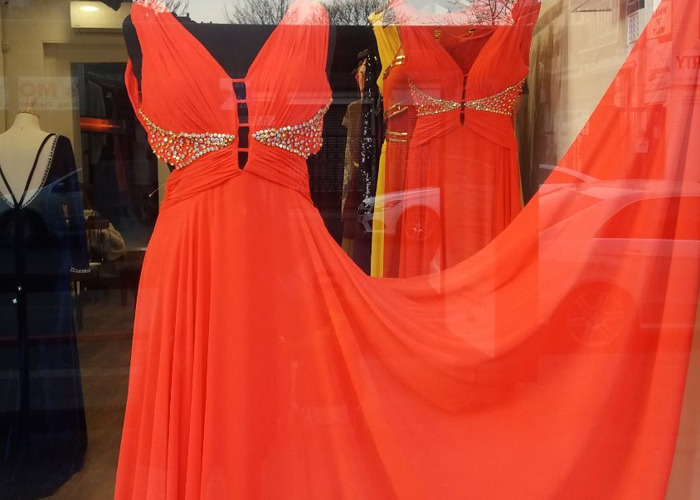 Greek Goddess style Coral Red Dress Long flowing chiffon material with bling breast support area. Ties at the back with Zip Support. For any blingtastic occasion!! Medium: 10-12 Worn once only on a film set!